"Beauty: Something that brings about joy and peace simultaneously. Active and passive energy brought together. Exhilaration and serenity at the same moment. Majesty and wonder timelessly. Inspiration and enchantment concurrently. Beauty touches you and allows you to sense the eternal and immortal. Just a few short days after my Higher Self 'delivered' the theme for this Solstice webcast, a friend of mine independantly posted the above quote on FB - How can we not smile in the face of such divine and beautiful synchronicity? I also had a moment of exquisiteness later that same day when my eye caught 2 pigeons and a sparrow delighting in a bath they were having in a fountain in a shopping centre! I watched passers by so lost in their own world that they missed that precious moment as my friend and I were held suspended in an eternal moment of wonder, at the delightful abandonment of these inconspicuous birds......an example of the beauty that surrounds us all the time. In a world that stereotypes beauty and attempts to lead or guide our perceptions thereof, it helps to be reminded of the raw, incredible power and divine beauty of everything that surrounds us. A smile, a bird, a friend, an 'I Love you', a meeting of hearts, a floral bloom, a work of art, a natural vista that takes your breath away, a broken pot, a beloved pet,......there are millions of ways in which we are touched every day of our lives. Fleeting moments that take us into the joy and peace of our divine heart. When we find beauty within ourselves, we become more attuned to the subtle and distinct emanations of beauty all around us..
During this solstice, we will celebrate beauty in all its manifestations, within and without. 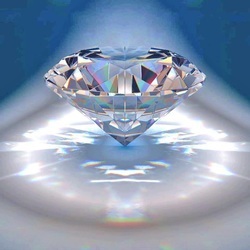 I would also love to create a collage of all that beauty represents in our diamond community, so please send in your pics if you have any of what makes your heart sing, of what beauty represents to you. Let's create and generate a gift of beauty to the world, as we celebrate the many manifestations of beauty and connect hearts with its divine 'freshness'.